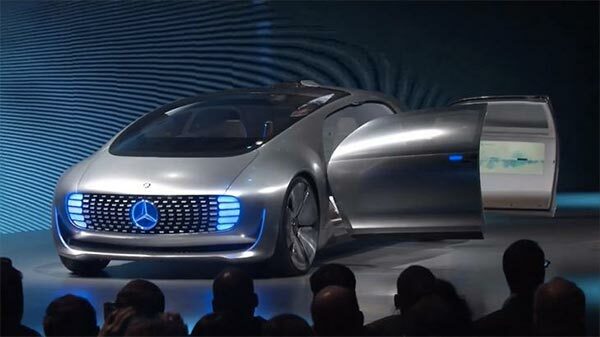 Just a few days ago when Mercedes-Benz released teaser of the new concept, it was assumed that the final show will break off at the 2015 CES, but the driverless car’s already revealed. The Mercedes Benz F015 in every definition deserves to be the future car. The sizzling smooth layout, robotic front facade with LED lights and new dashing wheels give an impression that it will morph into an ‘Autobot’ anytime. Speaking theoretically, this is not impossible based on the fact that the car is integrated with powerful AI which guides the drivetrain. So the evolution has already begun. As the veil has been removed, we are further updated that the concept uses a plug-in hydrogen fuel cell and two electric motors churning out a combined 268 bhp. It can soar to 62 mph in 6.7 seconds and can go as fast as 124 mph. The fuel cell and the lithium ion battery both can render a range of 684 miles. 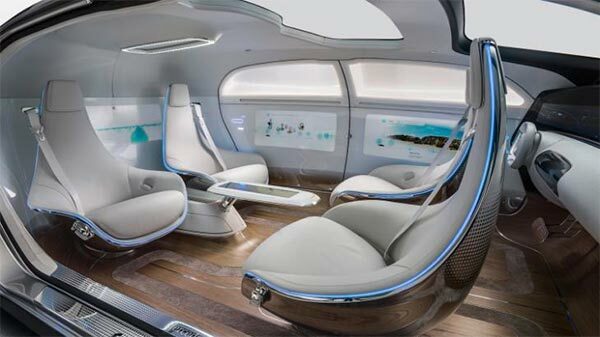 Learning further, the F015 concept is more of a mobile lounge than a cabin car, aesthetically designed for future perspective. The driver’s seat revolves back & forth to take over the manual control. The front door has front hinges while rear doors open backwards and both allow 90-degree rotation without a center pillar. The leather wrapped power seats sling out instrument panel for various operations. The equipments include cutting-edge stereo cameras and sensors to perpetually analyze the environment. The display screens on dashboard, sidewalls and rear of the car keep the passengers informed of everything and take touch-inputs too. The chassis is a combination of carbon-fiber reinforced plastic, aluminum and high-strength steel which ensures safety and car’s reliability to undertake dangerous situations. The wheelbase is 142″ and each wheel has a separate motor to get power from. 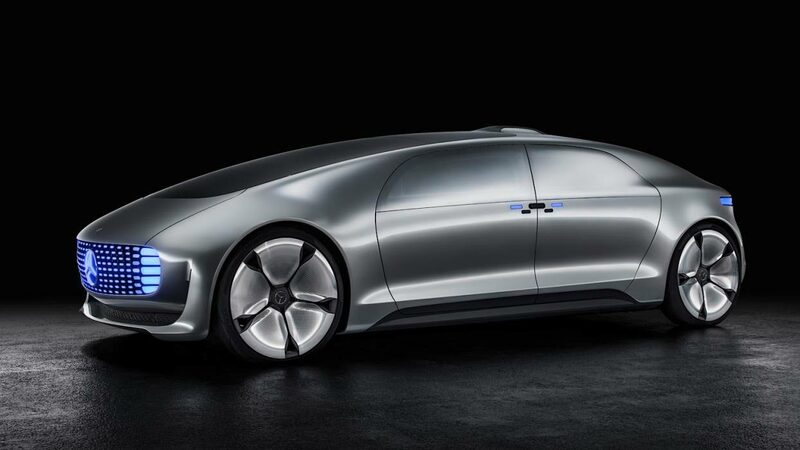 Sooner or later, car manufacturers will deliver the promise of autonomous rides, will the Mercedes-Benz F015 be the first? Well, hopes are high.